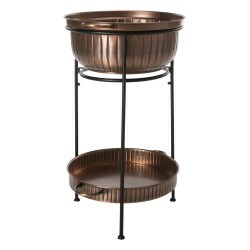 This antique copper black beverage tub is a perfect fit for a modern entertaining lifestyle!FREE Fast Shipping! 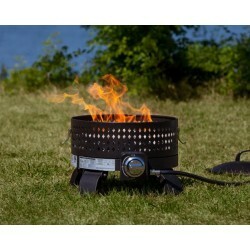 The Sporty Fire Pit comes with lava rock for attractive looks and flame dispersal, as well as a regulator and hose to attach the pit to your own standard propane tank, which is not included. 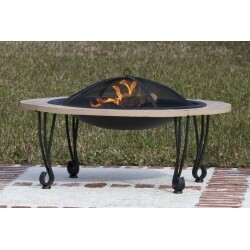 The unique Highland Wood Burning Fire Pit features a 29" brushed bronze finish steel fire bowl with an attractive hammered pattern. 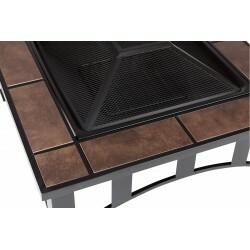 This fire pit comes complete with a one piece mesh fire screen with high temperature paint, screen lift tool, and wood grate. 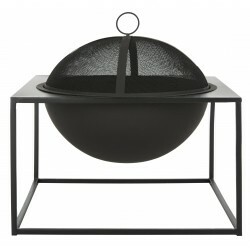 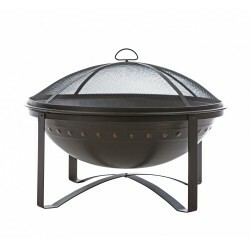 This unique fire pit features a 30" black steel fire bowl which sits atop a decorative powder coated steel base. 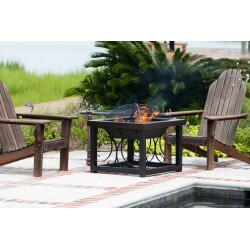 This unique fire pit features a 35" high temp antique bronze painted steel fire bowl with hammered lip, and brushed painted steel legs. 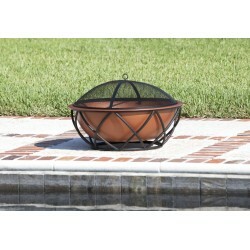 The voluminous fire bowl allows for a larger fire while the mesh design ensures a beautiful viewing experience from any angle. 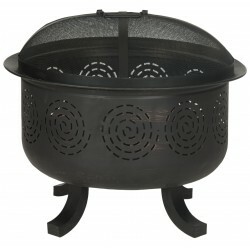 We are pleased to offer the finest in British design and quality in the Solid Base Revolver Fire Pit with Wooden Top. 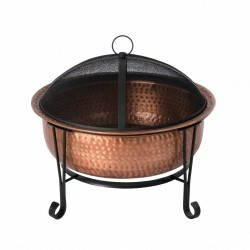 This unique fire pit features a 27.5" antique bronze painted steel fire bowl with an attractive weave pattern, and elegant copper finish outer rails. 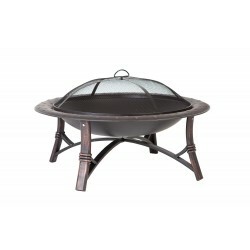 Featuring the look of natural stone, our Cast Iron Rim Stone Finish Fire Pit enhances your outdoor living area. 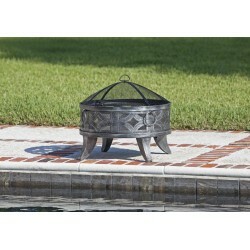 Featuring the look of gorgeous Tuscan stone, our Tuscan Tile Square Fire Pit enhances your outdoor living area. 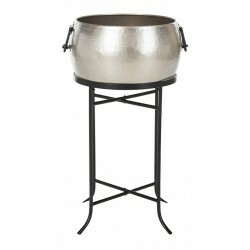 This pewter black beverage tub is a perfect fit for a modern entertaining lifestyle!FREE Fast Shipping! 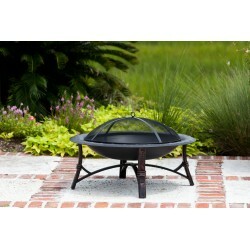 This modern copper and black square fire pit guarantees a lasting outdoor fun!FREE Fast Shipping! 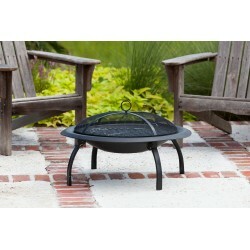 Enjoy your cocktails next to the fire year round with this decorative fire pit that doubles as an attractive cocktail table. 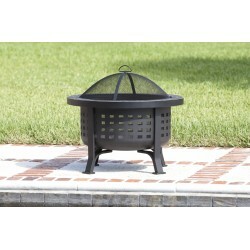 Looking to add a backyard fire pit? 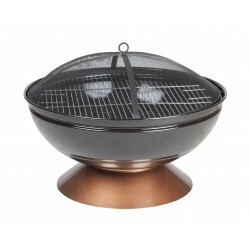 Add warmth and elegance to outdoor entertaining with Fire Sense Palermo, a wrought iron and copper fire pit set! 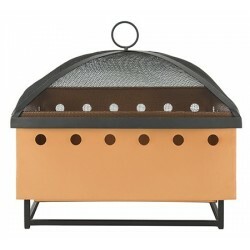 A wonderful addition to your outdoor space! 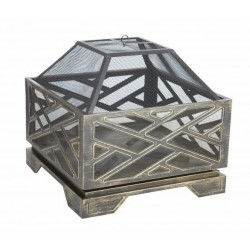 FREE Fast Shipping! 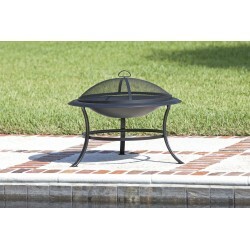 Demarcates the wood-burning Negril fire pit iron in antagonistic copper and black tones!FREE Fast Shipping! 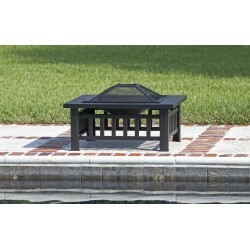 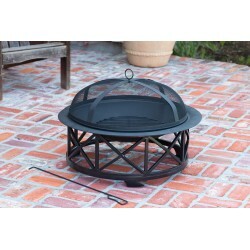 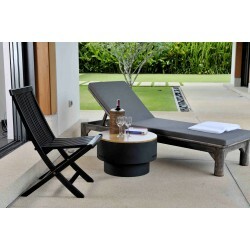 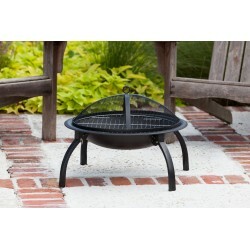 This modern square fire pit in black guarantees a lasting outdoor fun!FREE Fast Shipping!